Our comprehensive range of gas regulators, have wider outlets pressure range that can be easily adjusted by rotating the knob of spring adjustable screw. These are procured from well reckoned vendors and thus are designed in confirmation to latest international quality standards. Available in various industry specific configurations, these can be availed at most competitive prices. We are offering Gas Selector Box to our clients. Standard system consists of a panel incorporating gas controls and purification traps for four gases in a unit, namely, Nitrogen, Helium, Hydrogen and Zero Air. Frequent changeover of carrier gas from Helium to Nitrogen is required for certain Gas Chromatographic applications. 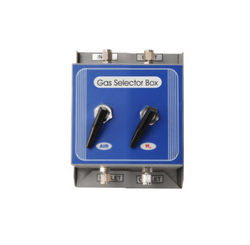 Hence, Gas Selector Box is used for the selection between two gases of different types. This uses a special Gas Sampling Valve which takes care of leakage problems especially faced while using Helium. Two types of gas selector box are available one with selector valve, pressure gauge & toggle valve, another with only two toggle valve. 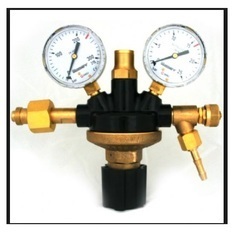 We are offering Nitrogen Gas Regulator. We supply a comprehensive range of diffusion resistant gas pressure regulators that are used to reduce high-pressure gas in a cylinder or process line to a lower, usable level as it passes to another piece of equipment. 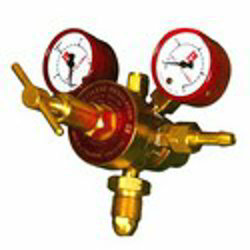 The regulators also maintain pressure within a gas delivery system. Sourced from well reckoned manufacturers, these are designed in confirmation to international quality standards. These can be availed at most reasonable prices. 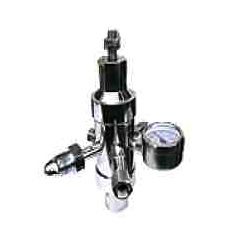 Inlet Pressure 210 kg/cm2, 280 kg/cm2. Gas Service H2, N2, O2 etc.